Short himself came on hard times and relocated to California. On a return visit to Illinois in 1858, Martin Morris wrote Mr. Lincoln: “Did you know that your old friend Short had returned from Cal.? he has Just Stept in to the shop whilst I am writing and tells me to say to you that he is still with you in political sentiment as well as warm personal feeling and shall be happy to take you by the hand on 29th.”9 Short’s luck in California was also bad until he was appointed an Indian agent for the Round Valley Indian Reservation in California by President Lincoln. Then, it got worse. He was suspended in 1863, visited Washington in the summer and wrote the President in October. When his case was not cleared up, he wrote President Lincoln in January that “I know Every moment of your time is fully ocupide and under ordinary circumstances could not reasonably Expect you to reply but from the Long Intimacy and friendship that have Existed with us and from my great need at this time I have to claim and do expect your attention to my case when I saw you Last Summer I thout from what you and the Secretary of the Interior told me and and from what you boath wrote to Steel that I would of got my pay and been Reinstated on my arival here for I new all the charges that Hanson had prefered against me was false and could not be Substatiated by any disentrested testimony”. 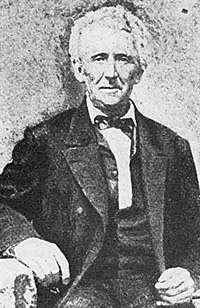 Short blamed his problems on the greed and chicanery of George M. Hanson, an Illinois politician who was superintending agent for the Northern District of the California Indian Office and whose misbehavior led to his dismissal from his office in 1863. Douglas L. Wilson and Rodney O. Davis, editor, Herndon’s Informants, p. 72 (Letter from James Short to William Herndon, July 7, 1865). Roy P. Basler, editor, The Collected Works of Abraham Lincoln, Volume I, p. 321 (Letter to Martin S. Morris, March 26, 1843). Allen C. Guelzo, “Holland’s Informants: The Construction of Josiah Holland’s ‘Life of Abraham Lincoln’”, Journal of the Abraham Lincoln Association, Volume 23, Number 1, Winter 2002, p. 39 (Letter of Erastus Wright to Josiah G. Holland, July 10, 1865). Thomas P. Reep, Abraham Lincoln and the Frontier Folk of New Salem, p. 95. William E. Barton, The Life of Abraham Lincoln, Volume I, p. 189. Abraham Lincoln Papers at the Library of Congress. Transcribed and Annotated by the Lincoln Studies Center, Knox College. Galesburg, Illinois. (Letter from Martin S. Morris to Abraham Lincoln1, September 18, 1858). Abraham Lincoln Papers at the Library of Congress. Transcribed and Annotated by the Lincoln Studies Center, Knox College. Galesburg, Illinois. (Letter from James Short to Abraham Lincoln1, May 13, 1864). Douglas L. Wilson and Rodney O. Davis, editor, Herndon’s Informants, p. 74 (Letter from James Short to William Herndon, July 7, 1865).